Was the dispute less about the Senate and more about back room shenanigans? Chair Senator Roger Katz (R-Kennebec) asks Deputy Secretary of State Julie Flynn a question during Tuesday’s hearing. 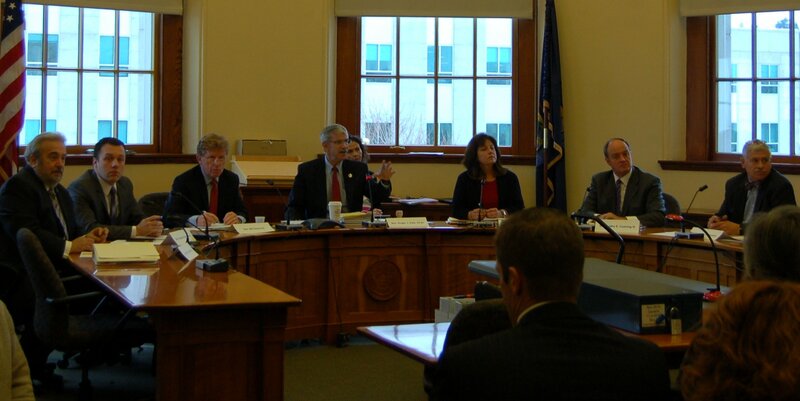 Also pictured (L-R) Senators Stan Gerzofsky, Garrett Mason, Bill Diamond, Dawn Hill, Andre Cushing and Tom Saviello. Maine got a preview of what to expect in 2015 thanks to the now-resolved “Who won Senate District 25?” question last week. For a month, Mainers had speculated as to what occurred. It seemed impossible that 12% more ballots than actual participating voters materialized out of thin air; something funky had to have happened. But what? No one knew for sure, but everyone had an opinion. Why the rush? Simply put, Republicans needed her vote later that same day on the Constitutional officers, as they were within one vote of replacing Attorney General Janet T. Mills. 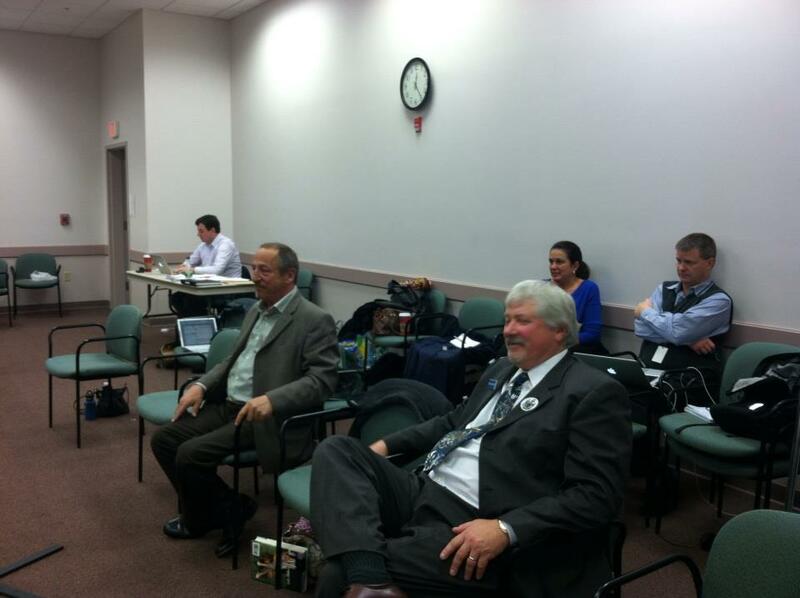 Seating Manchester gave one more vote to their surprise candidate, Bill Logan, the GOP recount attorney. Got that? Manchester was quickly shoved into office so she could vote for her own lawyer. Not that there is anything wrong with that. Thibodeau eventually named a seven member Investigative Committee. Spoiler alert: Democrat Cathy Breen’s originally reported 32 vote lead held. Tuesday’s public hearing was held in the packed Legislative Council chamber with only live audio feed available for those not in the room. Deputy Secretary of State Julie Flynn was the first witness. Sworn in before a room full of media, lawyers, candidates and election officials, armed with a 4″ binder full of documentation and 25 years of recount experience, she confidently gave detailed testimony for hours. Frankly, it was pretty dry stuff and with 30 people scheduled to speak after her, a quick resolution seemed unlikely. To break it down, imagine the 171 ballots as a deck of cards, but divided into 3 piles of 50 with a leftover stack of 21. Take each stack individually and divide into 3 smaller groups: Breen, Manchester and Other (No Votes). Write down the results from that first group, rinse and repeat for the rest of the stacks, then add them up. Long Island officials tallied 95 Breen, 65 Manchester and 11 Other equaling 171 votes cast, but the Augusta recount team came up with 21 more for Manchester, totaling 192. The ballots had been bundled with tally sheets designated as “A1, A2, A3 and A4″. Flynn had no answer and appeared momentarily flustered. She did not answer and continued to discuss the next lot. The committee decided next to examine the ballots and it was quickly surmised that Diamond’s instincts had been spot-on, as the first lot had only 29 ballots instead of 50. A second recount immediately confirmed the 21 A3 ballots had been added in twice. Manchester addressed the senators to announce her intention to offer a formal letter of resignation to President Thibodeau and congratulated Senator-elect Breen on her win. The Senate will meet in January and will have to vote to seat Breen. 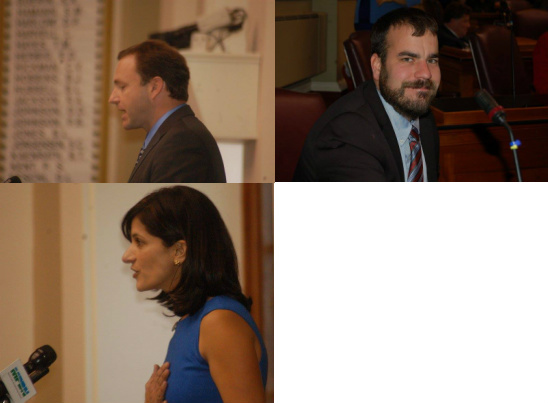 All members of the 127th Maine Senate have been elected to serve a two-year term. Of the 35 members, there are 21 Republicans and 14 Democrats. Eight are women (4 Republicans and 4 Democrats) and 27 are men (17 Republicans and 10 Democrats). 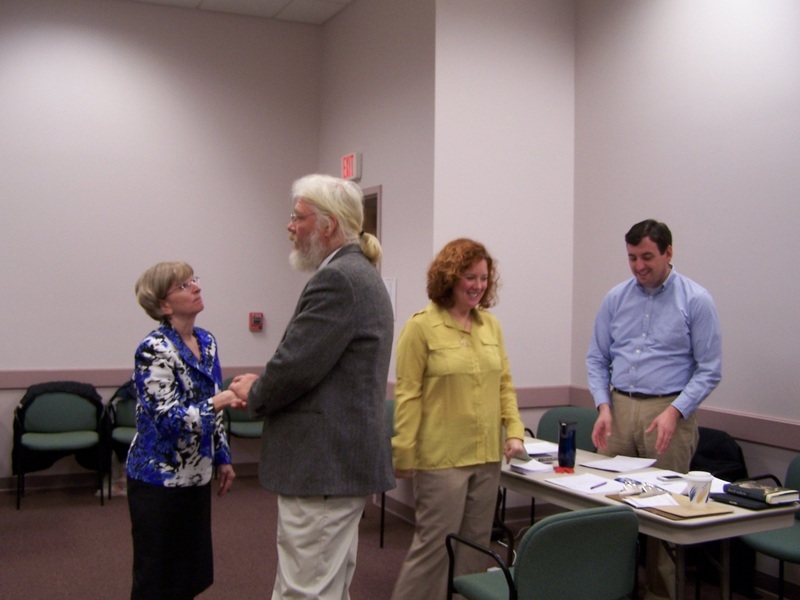 The link to NEW Contact Information for Members of the 127th Maine Senate (excel spreadsheet) continues to have Democrat Cathy Breen as the winner. “It appears that there was just a clerical error that 21 ballots didn’t get counted. And we’re glad they’ve been counted. But we want to find out for sure,” said Senator Roger Katz, R-Augusta. “We expect Republicans to share this concern of potential ballot tampering because, again, this is not about a political party, it is about the integrity and confidence we can all have when we cast our ballot,” said outgoing Senate President Justin Alfond D-Portland. 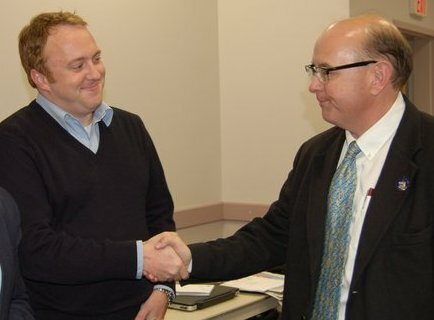 Senator District 21 Elect Nate Libby of Lewiston is congratulated by Secretary of State Matt Dunlap. Before Thanksgiving, the Secretary of State’s office was tasked with settling a handful of disputed elections, as happens periodically. At one point, WCSH and MPBN reported there would be recounts in Senate District 2 (Aroostook County) and 13 (Lincoln County). But later it was confirmed that the requests for both had been withdrawn. 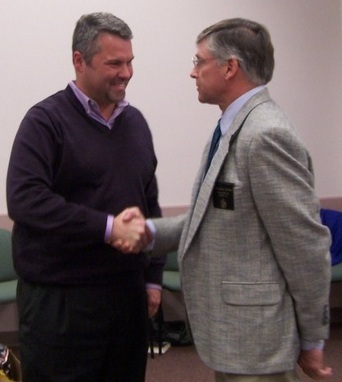 — Senate District 11 (Waldo County), Democrat Jonathan Fulford versus Mike Thibodeau. According to unofficial election results compiled by the Bangor Daily News (the Secretary of State’s office has not yet posted its results), the incumbent Thibodeau won the seat 9,064 votes to 8,949, a 115-vote margin. Thibodeau, the former Senate minority leader, was nominated by his Republican peers Friday to be president of the Senate for the 127th Legislature, though that is subject to approval by the full Senate when it convenes in December. 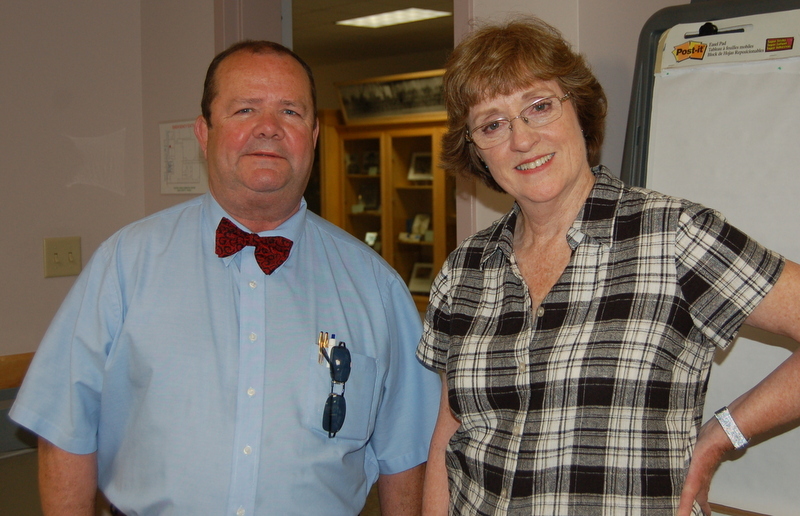 — Senate District 21 (Lewiston), Democrat Nathan Libby versus Republican Patricia Gagne. According to the BDN’s unofficial results, Libby was victorious by a vote of 6,636 to 6,572, a 64-vote margin. This seat was formerly held by Democrat Margaret Craven, who opted not to seek re-election. — Senate District 25 (part of Cumberland County), Democrat Catherine Breen versus Republican Cathleen Manchester. 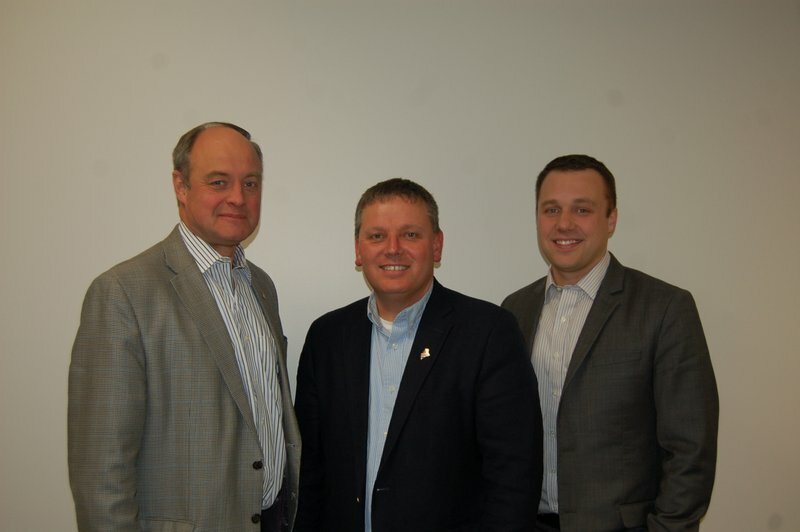 According to the BDN’s unofficial results, Breen took the seat by a vote of 10,897 to 10,890, a seven-vote margin. This seat was previously held by independent Richard Woodbury, who opted not to seek re-election. The process of recounting the ballots is methodical, meticulous, slow and tedious work, carried out by Deputy Secretary of State Julie Flynn and her staff in the Florian Room of the Maine Public Safety Building in Augusta. The entire proceedings, open to the public, included teams made of an official from the Secretary of State’s office working with both a registered Democratic and Republican volunteer. There were attorneys for both parties available throughout the recounts to weigh in on disputed ballots, irregularities and the like, as well as other support staff tabulating the final tallies before the final certification for each race. Results were made public by Secretary of State Matt Dunlap in press releases and on Facebook. 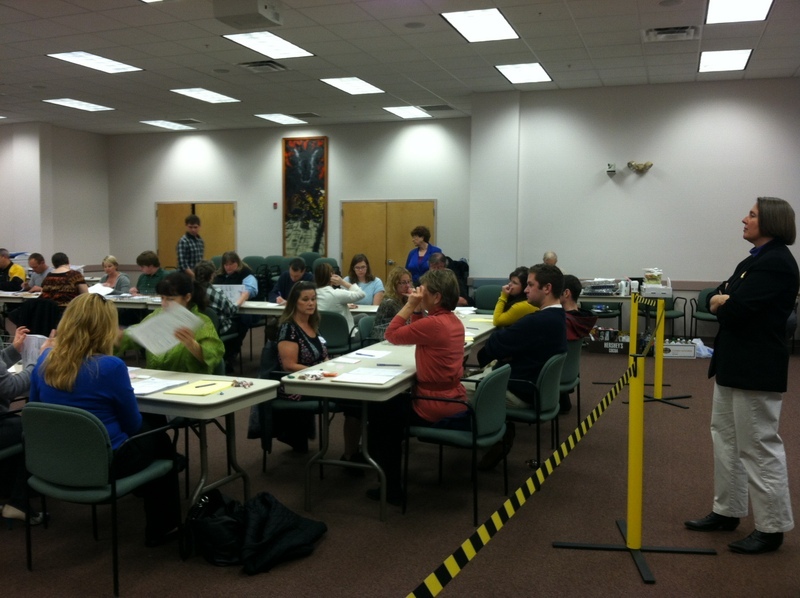 Senate District 25 recount began at 9am on November 18. And here’s where “a funny thing happened”. By 5 pm on the 18th, not only was there no clear winner after all of the present ballots were re-examined, but it was told to this reporter that a box of ballots had been discovered to still be in Westbrook and being brought to Augusta by Maine State Police- an unusual turn of events that meant a further delay of SD 25’s final results. “The State Senate District 25 final results will be decided by the Senate. The recount showed a reversal in the apparent winner, with Catherine Breen (D) getting 10,916 votes and Cathleen Manchester (R) getting 10,927, but the results were not accepted by both candidates. Unanswered questions remain about 21 ballots from the town of Long Island that can’t seem to be attributed to any voter. The ballots were discovered on Nov. 18, the night of the recount, and all of them contained a vote for Republican Cathleen Manchester of Gray, who had requested the recount. During an election, wardens at each polling place keep track of which registered voters have cast ballots. This ensures that no one gets to vote twice. The incoming voter list, or “voter manifest,” in Long Island indicated that 171 residents cast ballots either in person or absentee in this year’s election. Attorneys Katherine Knox (D) and Bill Logan (R) examine a disputed ballot. That’s the same number of votes presented by warden and Town Clerk Brenda Singo in unofficial results relayed on election night to the Bangor Daily News and the Associated Press. Long Island, a town of about 230 residents, has only one polling place, and Singo was the only warden. However, when the locked box of ballots was opened during the recount, 192 ballots were found. Put simply, there are 21 more ballots from Long Island than there are documented voters. Rep. Janice Cooper (D-Yarmouth) represents House District 47, which consists of Yarmouth, Long Island and Chebeague Island, has called for Attorney General Janet Mills to look into the matter. “One of two things has to happen to put this matter to rest: the state attorney general or the U.S. Attorney should immediately conduct a thorough, independent criminal investigation of the circumstances of this discrepancy, one that involves questioning all relevant witnesses under oath and forensic experts. Our state Constitution provides that it’s up to the Senate to decide the qualifications of its members. However, that does not absolve state or federal prosecutors from doing their job. The Senate president-elect says he will appoint a special committee to look into the matter. However, whether or how independently that investigation is conducted is up to them. Because a majority of the committee will be members of the same party as the recount winner, the outcome is bound to be suspect as politically biased unless the investigation is truly impartial and thorough. It’s entirely appropriate for a political body to make political decisions, as we do on proposed legislation or nominations. Sometimes, however, the Legislature must act in a quasi-judicial role, which is not easy. Years ago, I was counsel to the U.S. House Judiciary Committee in an impeachment case concerning removal of a federal judge for alleged conspiracy to commit bribery. The case came to the House with a massive record from a criminal trial, grand jury and independent counsel’s investigation. Nevertheless, the House also conducted its own investigation, subpoenaing and deposing witnesses under oath, conducting forensic investigations, etc. We then presented our case first to the House of Representatives and then to the U.S. Senate. For the most part, the proceedings followed judicial rules of evidence. The judge was impeached, convicted and removed from office. This is what a quasi-judicial legislative inquiry should look like. 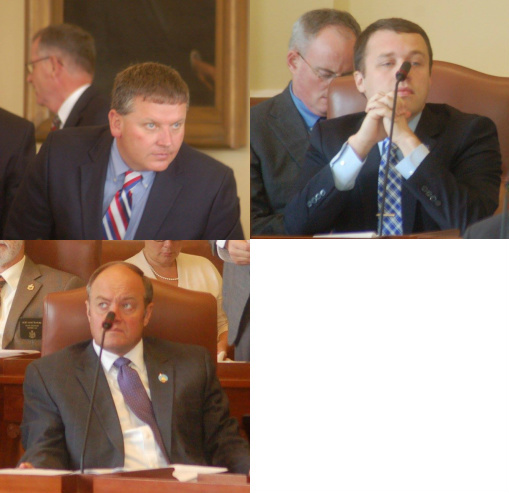 Whether the Maine Senate is prepared to go to this length remains to be seen. Frankly, they don’t have the resources or the expertise, even if they had the will. In the second of two election recounts requested post- June 10th primary (Ralph Tucker was announced as the winner of House District 50 yesterday), incumbent State Senator John L. Tuttle led challenger Representative Andrea M. Boland by a margin of 841 votes to 821 votes in the Senate District 33 Democratic primary. SD 33 formerly SD 3, was redistricted and now contains the towns of Cornish, Parsonfield, Limerick, Newfield, Waterboro, Shapleigh and Sanford. Sanford, which previously included seven wards, is now divided up into three precincts. 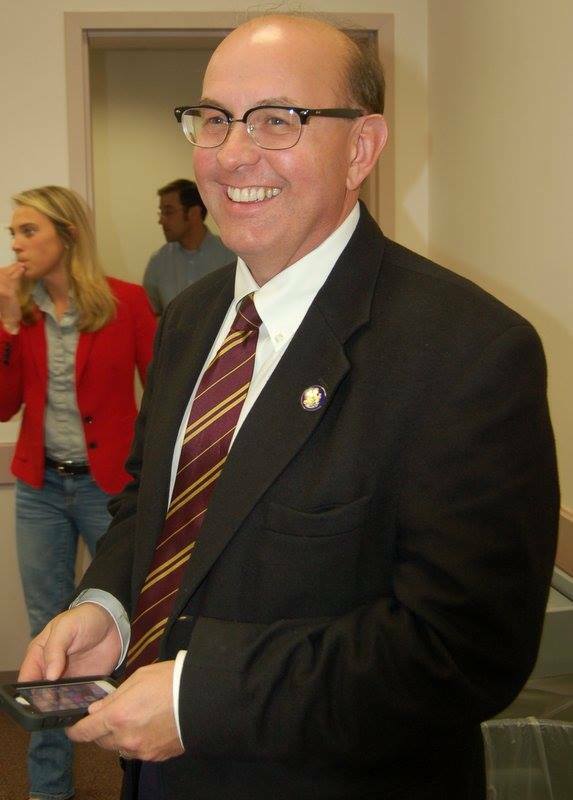 After re-examination of the ballots, Tuttle picked up 2 votes to Boland’s 1 additional vote and was declared the winner, 843-822. 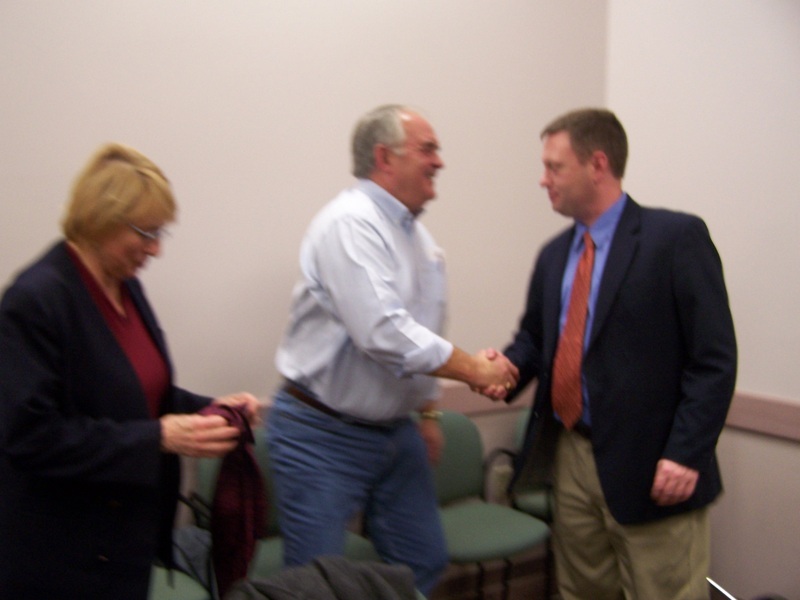 He will go on to face political newcomer Republican Adam McGee of Sanford in the November general election. 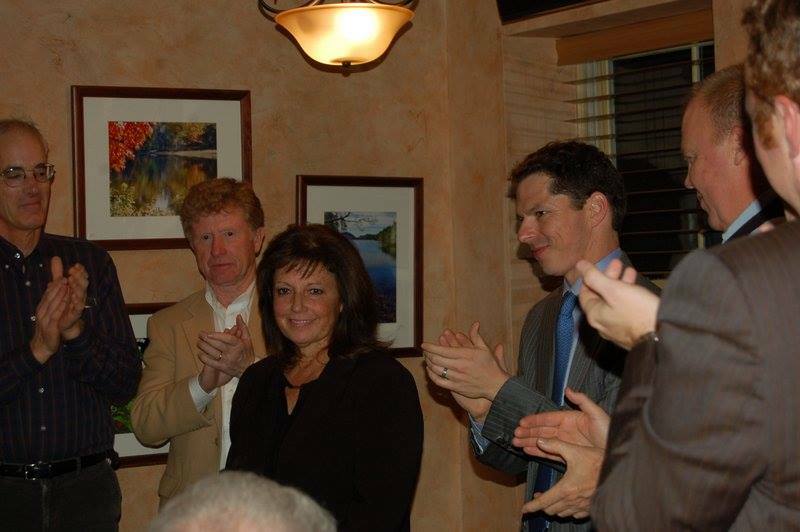 Representative Andrea Boland (D-Sanford), who was the second-place finisher, thanked her supporters. 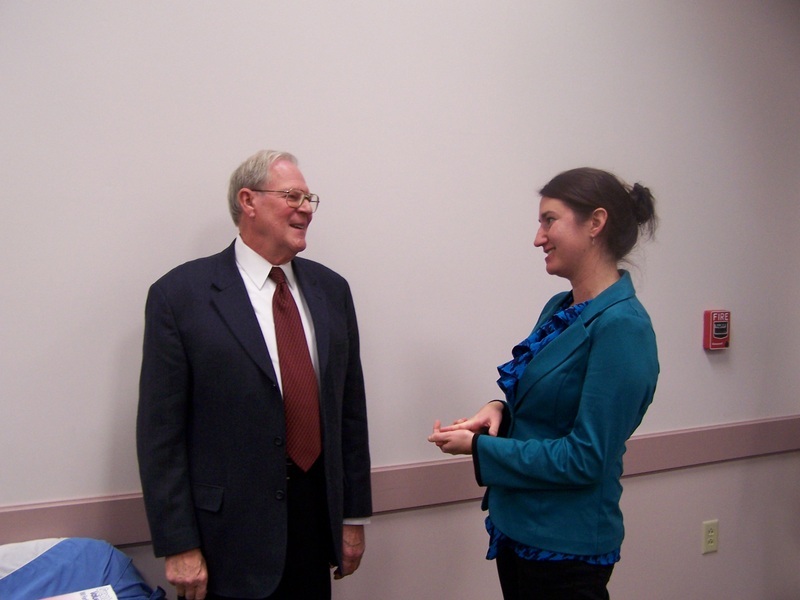 “I congratulate Senator Tuttle for winning the primary,” Representative Boland said. “Maine law requires that a recount must be requested before any ballot boxes can be retrieved or other procedures for a recount are initiated. There is no threshold for an automatic recount in Maine law. 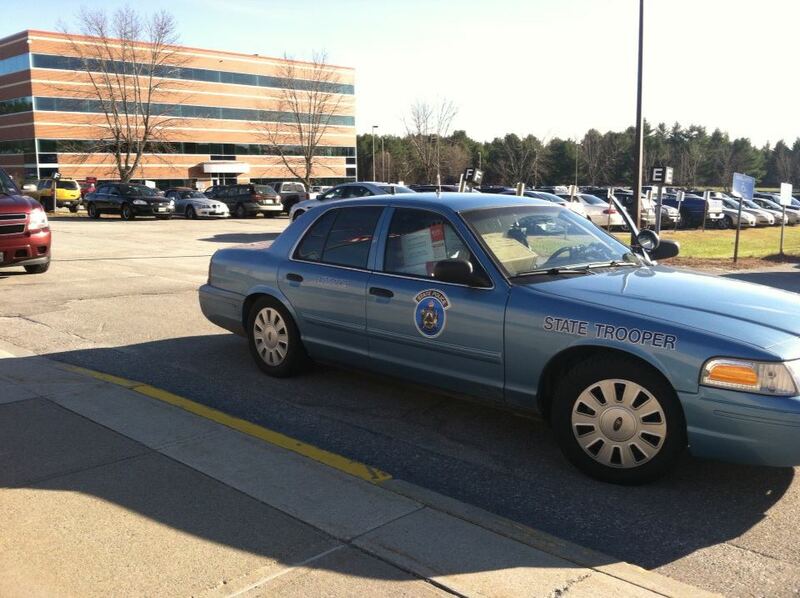 Following the request for a recount, the Secretary of State works with the Maine State Police to retrieve the sealed ballot boxes and other election material from the municipal election officials of the affected precincts, and they are secured at the Maine State Police headquarters in Augusta. 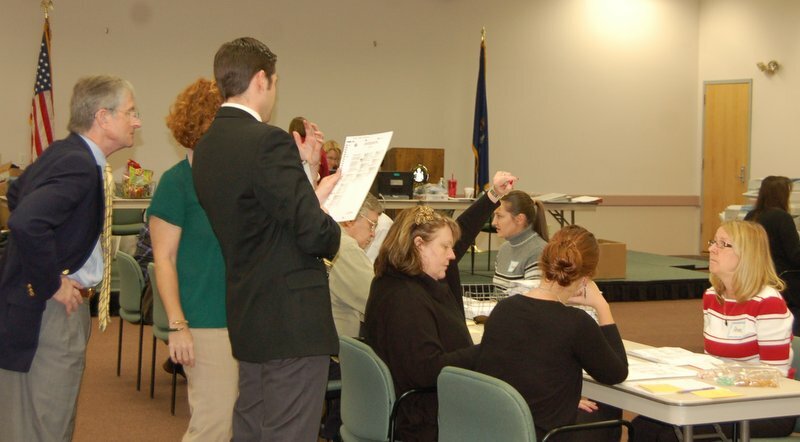 Candidates provide counting teams who are supervised by the Secretary of State, and candidates can have legal representation to help resolve issues around disputed ballots. 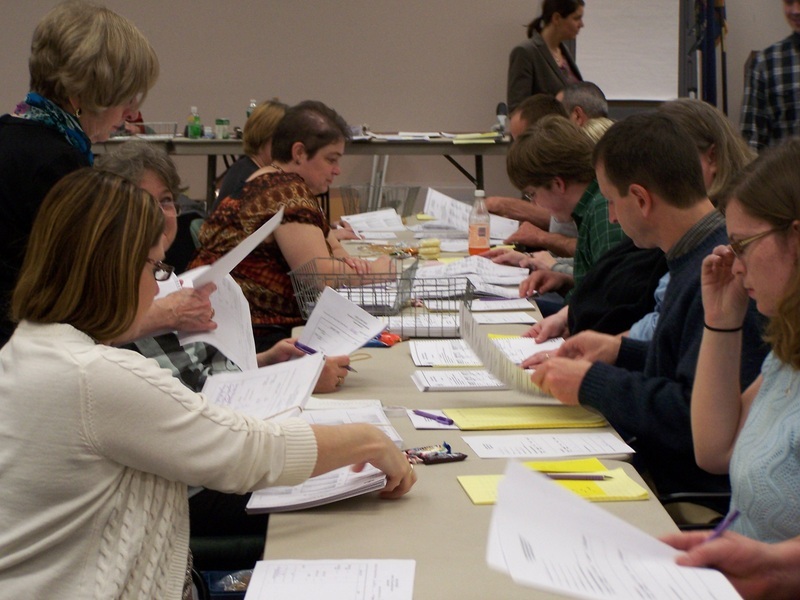 Once the recount is complete, the candidates can agree to the result or, if the result remains in dispute, they would then appeal to the Maine Supreme Judicial Court for a resolution. In the general election, legislative disputes would be resolved by the Legislature.